"The most soul-satisfying gardening book in years." —New York Times (March 1982, reviewing the 1981 cloth edition from IU Press). "Genuinely a classic..." —Los Angeles Times (on the occasion of Houghton Mifflin's paperback edition, which came out in 1994). "Is there anyone alive with the slightest interest in gardening who doesn't know that Henry Mitchell is one of the funniest and most truthful garden columnists we've got?" —Allen Lacy"Mitchell is a joy to read. He has tried and failed, persevered and triumphed, and he has many sound recommendations for us fumblers and failures." —Celestine Sibley, in the Atlanta Constitution. "Henry Mitchell is one of America's most entertaining and enlightening garden writers.... 'Garden writer' fails, in truth, to describe this man. He gardens and he writes—the former, if we take him at his word, with lust and loathing, foolhardiness and finesse; the latter with gentle irony and consummate skill." —Pacific Horticulture"Mitchell mixes practical advice, encouragement, philosophic consolation and wit. He is the neighbor you wish you could talk to over the back fence." —House and GardenHenry Mitchell was to gardening what Izaak Walton was to fishing. The Essential Earthman is a collection of the best of his long-running column for the Washington Post. Although he offered invaluable tips for novice as well as seasoned gardeners, at the heart of his essays were piquant observations: on keeping records; the role of trees in gardens (they don’t belong there); how a gardener should weather the winter; on shrubs, bulbs, and fragrant flowers—and about observation itself. Here’s one example: Marigolds gain enormously in impact when used as sparingly as ultimatums. Henry Mitchell came to his subject with reverence, passion, humor, and a contagious enthusiasm tempered only by his sober knowledge of human frailty. 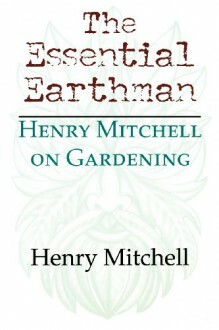 The Essential Earthman is for all who love gardening—even those who only dream of doing it.